Complete Women's Healthcare, LLC (Englewood) - Book Appointment Online! The mission of Complete Women’s Healthcare is to offer women’s healthcare in an environment that is state-of-the-art and comfortable. Women of all ages and all means will have access to a knowledgeable physician that will treat them with dignity and respect. We believe that an obstetrical/gynecological visit is an intimate event and should be treated as such. Quality care as well as patient comfort and satisfaction are our priority. At Complete Women’s Healthcare we strive to deliver care in the most comfortable, aesthetically pleasing, and friendly environment. We believe that a bond is crucial to establishing a proper physician-patient relationship. Not only does every physician have their own management style, but it can be very traumatic when a patient meets a physician for the first time at their delivery. It is therefore our mission to provide 24/7 access to a physician that is well known to the patient. Our patients will know the doctor at their delivery. As a solo practitioner, Doctor Jacobson will be available for all of her patient deliveries (except for emergencies and some pre-selected dates). 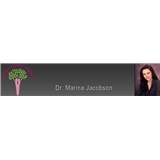 Dr. Jacobson is very knowledgeable, patient and kind. She is gentle and explain everything in advanced.